Tom Volini is an executive vice president with Colliers International’s office advisory group. 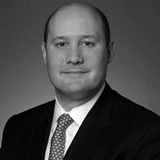 Tom joined Colliers International in 2011. He continues to grow the company’s tenant representation platform in the Chicago region while servicing and expanding the strategic national accounts practice group. Tom has been exclusively representing office tenants in lease negotiations for over 18 years. He is a skilled strategist providing in-depth analysis, negotiating expertise, and creative real estate solutions to his clients. When advising clients, Tom draws upon a broad range of real estate consulting experience along with his significant corporate board responsibilities and his active investment partnership expertise. In 2011, NAIOP nominated Tom as a finalist for office transaction of the year for completing 2 of the largest office lease transactions in Chicago. In 2011 and 2012, he qualified for the Colliers International Everest Club ranking him as one of the top producing brokers in North America. Tom has completed office tenant representation assignments totaling over 10 million square feet with financial consideration in excess of $2.5 billion. Prior to joining Colliers, Tom spent 10 years as an Executive Vice President with the office tenant representation services group of Grubb & Ellis specializing in tenant representation in the Chicago region and nationally. Beginning in 2003 and continuing every year consecutively through 2010, he was selected as a member of the Grubb & Ellis “Circle of Excellence”, ranking him consistently as one of the “Top 20” producing brokers nationally for Grubb & Ellis. Tom joined Grubb & Ellis after spending 6 years as Vice President for U.S. Equities where he represented some of the most recognized companies in Chicago. He was consistently one of the top producing brokers at U.S. Equities. Tom began his career as an associate with Tanguay-Burke-Stratton as a tenant representation office broker. In addition to Tom’s long standing career in commercial real estate, he has a broad range of business experience. Tom currently serves as Vice Chairman of Cevaal Insurance. He also serves on the board of directors for Midwestern Electric. Tom served on the board of directors for Kansas State Bank until the bank was sold at the end of 2011. He is the founder of Baden Capital. Tom served on the advisory board for Primex Wireless. He previously served on the executive management committee as a senior equity investor with The Winbury Group until the partnership sold to Colliers International at the end of 2010. He serves on the board of directors for “REIA”, the Real Estate Investment Association. Tom is a member of The Economic Club of Chicago. He is also a member of The Chicago Club. Tom serves on the governing board for Rainbows International. He serves on the Heroes Breakfast planning committee for The America Red Cross of Greater Chicago. Additionally, Tom supports The American Cancer Society, Chicago Architecture Foundation, and The Society of Architectural Historians. Tom is a graduate of the University of Kansas where he majored in English. He also completed the MBA Essentials program at the University of Kansas.